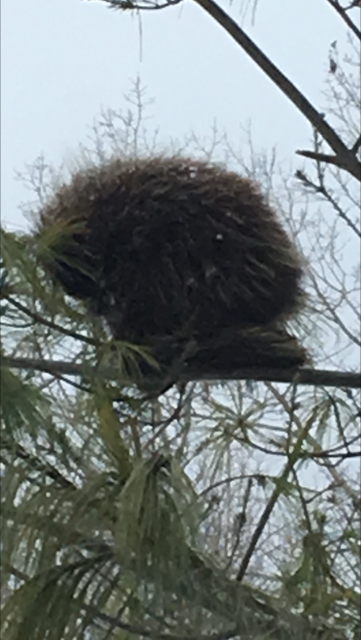 ​January 4- This local porcupine is taking a nap north of town. The porcupine is classified as a rodent. It has as many as 30,000 quills. It cannot "shoot" its quills, but lashes out with it's tail. January 6- Be on the lookout for little black moving specks in the snow on any day that is warmer than 25 degrees. As we enter days of freezing cold and then a mild thaw, snow fleas will begin to make an appearance. 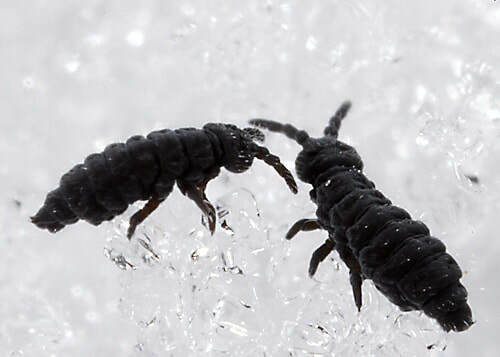 Snow fleas (also known as Springtails) are soil decomposers, but are able to withstand freezing temperatures, allowing us to notice them more on top of thawing snow. _Lauren Dake. Rabbit redux: This past fall we had six or seven friendly rabbits that always greeted us as we came down our driveway. By the first part of December, we did not see a single rabbit. One afternoon as I walked out on our point, all the birds were very quiet. I looked up and saw a beautiful bald eagle circling the wooded area, and wondered if this predator had anything to do with the disappearance of the rabbits. January 7 update. This past week as we drove down our driveway, a lone rabbit greeted us. I guess the predator missed one. _Chuck Schular. January 11-While driving south on US 31 on January 10th around 5pm, a snowy owl was spotted flying across the roadway near Maple Bay. To see the wing span and the size of this bird at a close distance was amazing! _Dianne Richter. Note: We seem to be having a snowy owl invasion in the village! Check out their habits and their sounds at Audubon.org or www.birds.cornell.edu. January 31-A rare astronomical event will occur early morning: a lunar eclipse, a Blue moon, and a Super moon. A Blue Moon is the second full moon in a month, also known as a Blood Moon due to the color it can take on. 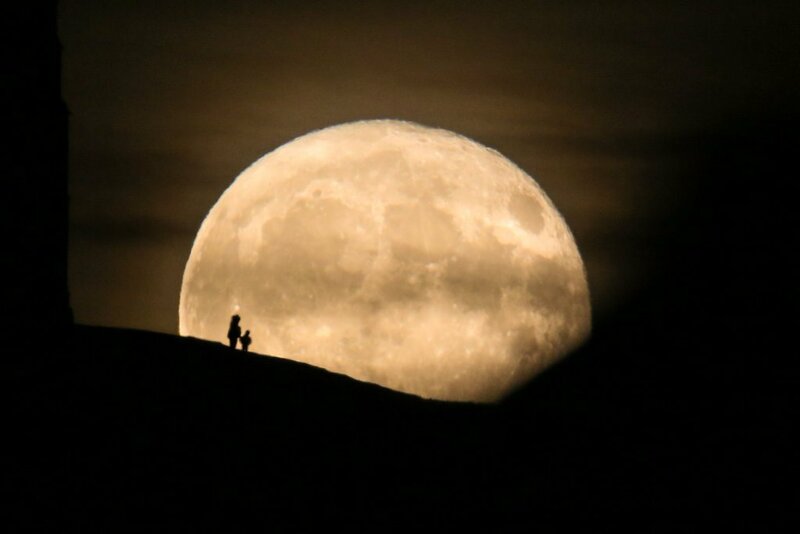 A Super Moon occurs when the moon reaches its closest approach to Earth in a single orbit, and the moon can appear up to 14% larger and 30% brighter than normal, according to Space.com. Note For Kids: NASA’s Space Place website is a NASA website for elementary school-aged kids, their teachers, and their parents.